FAQ - How does the COLOUR CODING work? Merrymurder Party Games and "Murder in an Hour" Games both use a colour coding system to ensure that players do not miss their cues and that the host stays fully in control of the game. 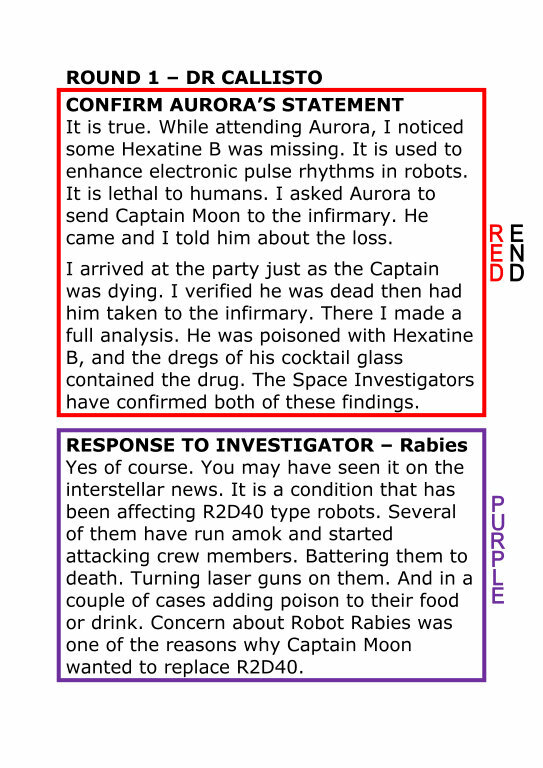 How this colour coding works is shown below, using the game "Murder in an Hour in Space" as an example. 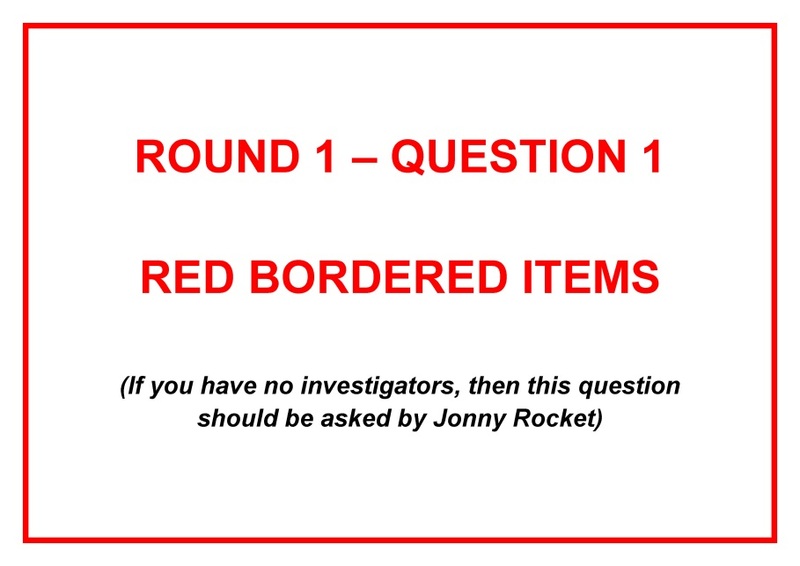 The first question card to be asked in Round 1 by the Space Investigators is shown below. You can see both sides of the card. It is clearly marked as being a red bordered item. 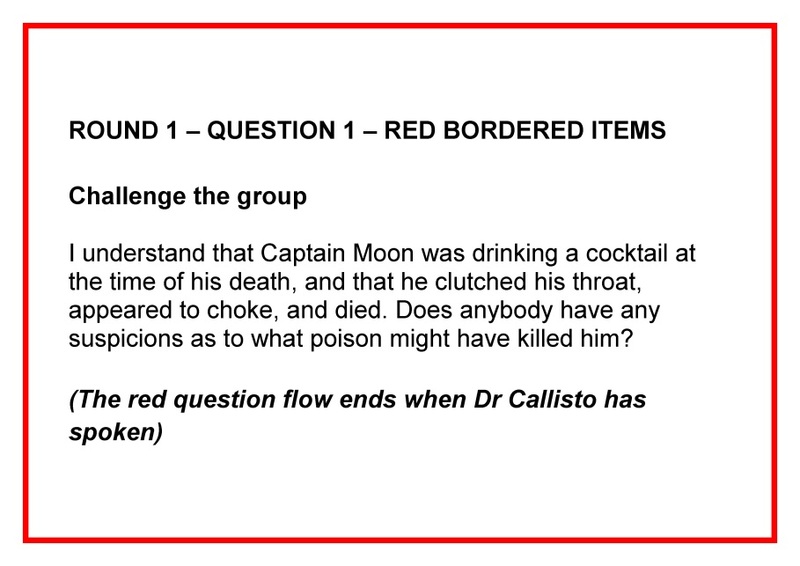 The question card also states that the red question flow ends when Dr Callisto has spoken. Below you can see the Round 1 page of the character booklets of Aurora D'Lytes and Dr Callisto. 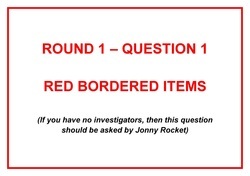 They have red bordered items for round one. None of the other six suspects have red bordered items. 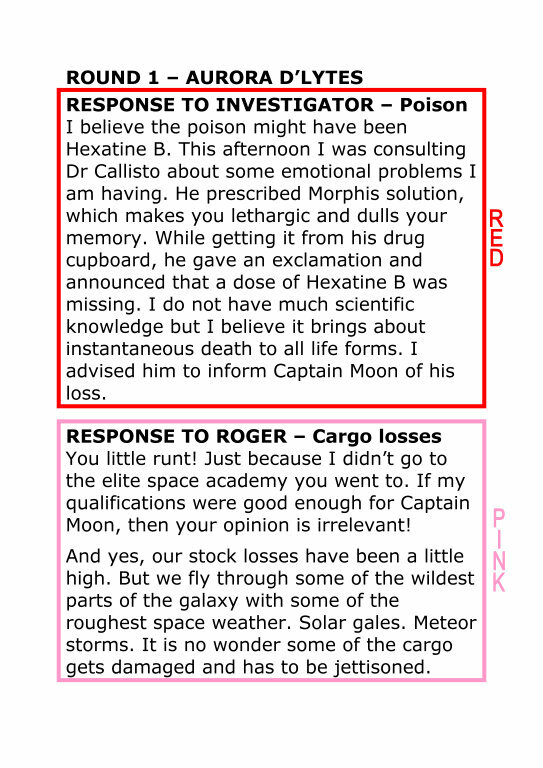 So, when the red bordered items begin, the players portraying Aurora D'Lytes and Dr Callisto know that very shortly their cue to speak will be coming. And the other six players can sit back and relax, knowing that for the moment it is not their turn to speak. 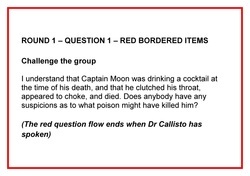 Similarly once Aurora has performed her red bordered item, she knows she won't be called upon to speak until the pink bordered question is asked. Likewise for Dr Callisto with the purple items. 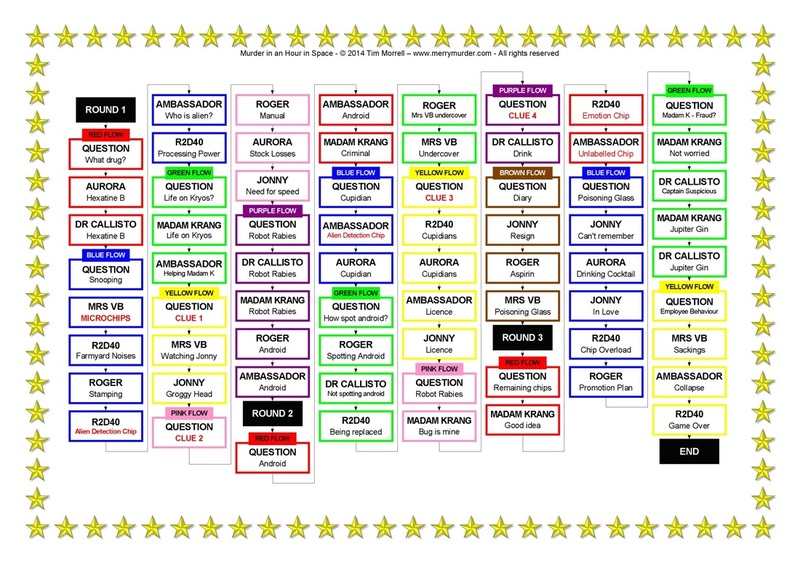 All games come with round flowcharts that pictorially depict what will happen in each round. These can be used by the host to keep an eye that everything that happens in a round does happen. Alternatively they can be pinned on the wall, and all players can help to ensure that the round develops as expected. You can see the flowchart for "Murder in an Hour in Space" below.